Faster Smarter Higher: Managing your Career by Utkarsh Rai is the kind of book that of course you can race through but the idea is that you don’t. It is a book about managing your career after all and might I add that it isn’t one bit preachy. Thank God for that! I am not the sort who reads business books or books such as these. However, this one caught my fancy and I am glad that I read it. The book explores career and its paths not just by the virtue of hard work but more. What’s that more you ask? Is it something I possess? Is it something that is there in me? Oh yeah, sure it is, but it is all about finding that sweet spot to hone those skills – most importantly – managing key relationships at work, which is what this book is about. “Faster Smarter Higher” is a go-to guide to what to actually do at work when it comes to interpersonal skills and how those skills will propel you forward on the ladder of success. At the same time, it is very lucid and structured. The book doesn’t confuse you and lets you think for yourself. What’s great is that there also insights from 51 business leaders on the same topic/s. Utkarsh’s writing is easy and not complex. More than that it isn’t repetitive which it could have been given the topic. I liked the book overall. It was insightful in most places and did not seem rushed at all. A quick read but the one that you will keep thinking of a lot, because well, it has to do with your career after all. 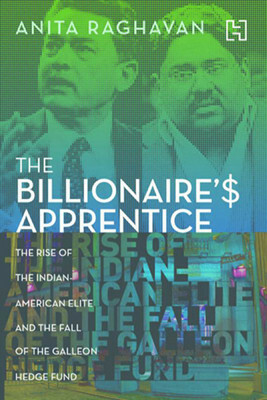 This entry was posted in 2016, Business, Non Fiction, Review, rupa and co, Self-Help, September 2016 Reads and tagged business books, career, corporate ladder, faster smarter higher, Inspiration, interpersonal skills, Rupa, rupa books, Self-Help, utkarsh rai, work relationships on September 15, 2016 by thehungryreader. I remember reading, “Steve Jobs” by Walter Isaacson with great trepidation. I thought I would get bored. I thought I would not be interested in it for long. I thought these things and a lot of other things before I invested time in the book. I loved the book at the end of it, so much so that I thought there was not any need to pick up anything on “Steve Jobs”, since this book was most comprehensive. 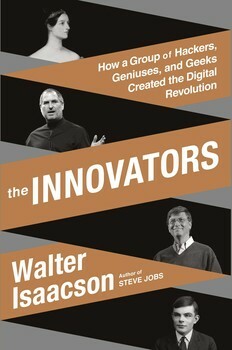 Walter Isaacson does it again this time with “The Innovators”. There have been countless books written on the digitized revolution and the Silicon Valley. Walter Isaacson’s book is different in the sense that he takes a complete look at the innovators, the geniuses, the hackers, and the geeks and what they did and did not do to get the revolution going. “The Innovators” is a book which looks at everything – right from the start, to the middle and the future of entrepreneurs and creative geniuses. “The Innovators” tracks the stories from the 19th century – to Lovelace and Babbage to the Ethernet and Xerox, the Manhattan Project, Bill Gates, Steve Jobs of course and Steve Wozniak. He covers almost all of these people and how their creativity helped them harness not only their goals, but also the clear and visible difference brought in an entire culture of people. The writing is crisp and easy to understand. There are parts that do drag but one can overlook them in the larger scheme of the theme and essence of the book. The book is written with the view point of ideas. That is the core and essence of the book. The people of course play a very important role, but it is the ideas that take center-stage in a book like this. Mr. Isaacson tells the story of individuals with brilliant ideas. There is sometimes collaboration of people, sometimes when people work on their own and yet at the end of it all, the reader is left with more clarity on them and the various eras in which different ideas were shaped and formed. One can then use the cliché and say then that the book is “well-researched”. The layout and the hyper-narration at times is perfect. The systematic building of concepts only lends to the overall effect of the book. At some point, I thought that maybe some people were not included which could have been and some which perhaps did not need inclusion. The narrative is very strong and maybe again why one can see why the author could not have included everyone in the book. “The Innovators” is one of those books that also help us to some extent see what technology could mean in the future and its implications. Overall, I would say that even if you are not a technology buff the book will appeal to you only from the point of view of knowing more about these people and the ideas they thought of. I highly recommend this one. This entry was posted in Books, Business, Non Fiction, Review, Simon & Schuster, Simon and Schuster India, Technology and tagged Business & Management, Computers, Digital Revolution, Entrepreneurship, Internet, Simon and Schuster, technology, The Innovators, Walter Isaacson, Web Culture on October 10, 2014 by thehungryreader.